Hoang Long Joint Operating Company (HLJOC) was established by PetroVietnam Supervision Company (PVSC), SOCO Vietnam Ltd. (SOCO), Amerada Hess Vietnam Ltd. (HESS) and OPECO Vietnam Ltd. (OPECO). The Petroleum Contract was signed on 8th November 1999 and was effective from 8th December 1999. On 16th April 2002, OPECO transferred part of its participating interest to HESS. On 14th June 2002, HESS entered into a Sale and Purchase Agreement for the transfer of its 13.5% interest in and under the Petroleum Contract to PTTEP. Subsequently on 14th November 2002, HESS transferred all of its interest to SOCO and PTTEP. The company has it's main office in Ho Chi Minh City and Offshore Supply Base Office in Vung Tau and presently has over one hundred employees. 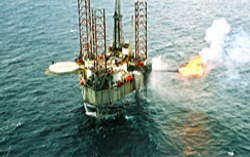 The Company's core business is to explore and produce oil and gas in Block 16-1 offshore Vietnam. HLJOC have drilled 20 wells (14 exploration wells and 6 appraisal wells), resulting in discovery of Te Giac Trang (TGT) Field and encouraging results so far in the Te Giac Den (TGD) Discovery. TGT Field: The TGT initial Reserves Assessment Report was approved in April 2008. The TGT Field has been appraised and was declared commercial on 4th September 2008. 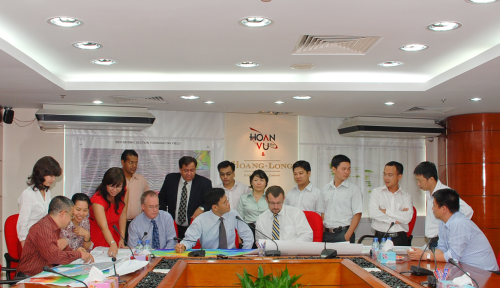 Contracting Parties, PetroVietnam and Government approval for the TGT Outline Development was received in September 2008. The Full Development Plan for the Te Giac Trang Field, incorporating the second phase of development was approved by the Partners, PetroVietnam and the Government on 30th March 2011. The Plan is comprised of a Floating, Production, Storage and Off-loading vessel (FPSO), two Well Head Platforms (H1 and H4 areas), and a subsea pipeline system to transport hydrocarbons, gas, export, gas lift and water. The first flow of crude oil and gas from the Wellhead Platform H4 (WHP-H4) of the Te Giac Trang Field (TGT) occurred on 06 July 2012. The TGT-WHP-H4 is located in the south of the TGT Field in Block 16-1 in the Cuu Long Basin, off the southern coast of Vietnam, approximately 100 km from Vung Tau, 20 km northwest of the Bach Ho Field, and 35 km west of the Rang Dong Field.